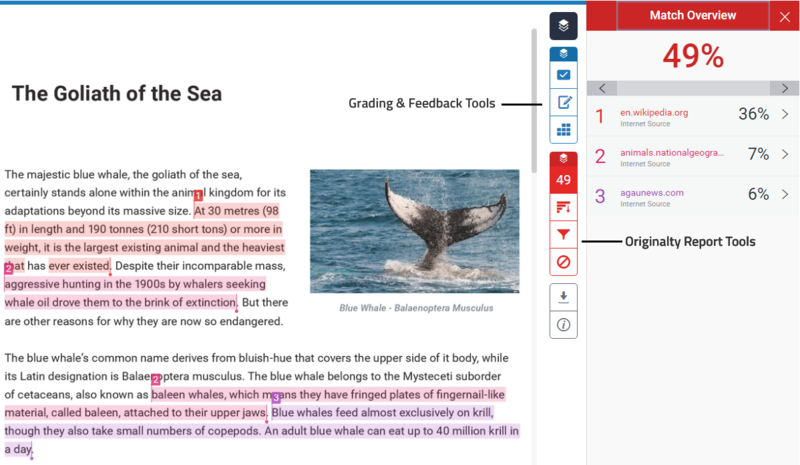 Turnitin released an upgrade to their service called Feedback Studio which combines originality checking and GradeMark in a unified interface. The new interface does not change how Turnitin assignments are created in Moodle, or how students submit their work and access their feedback. The interface has been redesigned to make better use of the space available on screen, to help markers navigate around a student’s paper, and to improve compatibility with mobile devices. 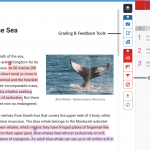 The easiest way to see Feedback Studio is to try the interactive demo on the Turnitin website, or view their walkthrough video below. This Moodle resource on the Staff Training server provides access to videos and podcasts from colleagues across the Schools which offer great insight on the pro’s and con’s of using Turnitin. Hugely beneficial is the consistency of feedback against defined criteria that is available to students, with many colleagues finding online grading being quicker than manual submission and return. Elsewhere on the Hub we also have specific posts on constructing Rubrics, how the values are calculated and how to adjust Moodle to allow grading using the PG Scale with Feedback Studio.